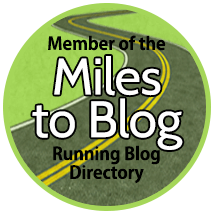 This is a guest post by Shaun Dixon, who is an elite runner and head coach at Let’s Get Running. A self diagnosed ‘run-addict’, he uses his experience of training and competing over a range of distances to coach runners of all ability levels. Shaun is training me for the 2017 London Marathon. Thinking of tackling your first Marathon? Here are 5 tips to read before you kick off your training. Don’t take on too much too soon-you’ll find quickly find yourself injured, ill or both. Give yourself some time, and slowly build up to it- you need to be fit at the end of the training period not the beginning. There is a fantastic stat about Marathon running. 95% of those who line up on Marathon day will complete the race but only 72% of those with a place actually make it to the start line. Your number 1 goal should be to get to the Marathon fit and healthy. So be patient, both in terms of volume increases and the pace of your runs too. The key to improvement, rather boringly, is consistency. Establishing a good routine of steady or easy pace running is an absolute priority- preparing a base level of fitness on which you can build. You can’t build anything on shoddy foundations. So take it easy- always run with your next run in mind, so finish feeling there’s more in the tank. You want to get out and want to run, not sit and wallow in a hole of fatigue! All runners struggle with motivation but it’s easier to deal with dark periods if you have a clear goal for the run. I like people to have a race goal. It could be anything from, simply getting round to running sub 3hours, but it needs to be firm and measureable. If you want to work to a time but don’t know where to start, I suggest running a 10k race or time trial. An online race time predictor or calculator will then give you an estimated marathon time based on this performance (Runners World is a good place to start). It’s no guarantee but it’s better than a blind stab in the dark! If you look at the routines of the majority of top athletes they are fairly regimented. They know when they will run and roughly what each run will look like. We don’t have the luxury of structuring our lives around our running but we can make sure sure our run time is sacred. Set an hour aside, arrange to meet a friend, or join a group to make sure your run plans don’t get shelved. If you’re wondering how many runs you should commit to each week then it all depends on your goal. The beauty of running is, for the most part, you get out what you put in. If you’re aiming for a time beginning with 3 you need to commit to 4 ‘sessions’ a week ( though this can include a cross training session). 3-4 sessions should be a good target for all runners aiming for a Marathon. Beginners should start with 3 and progress to 4 or 5 if the body reacts well to the training. 4. Think about your body- don’t just tick boxes. It’s very easy to get very bogged down in numbers when Marathon training. You must follow a 16 week plan, include a 20mile run as your longest run 3-4 weeks from race day, and run all your miles at such and such a pace to run this or that time on race day. Focus on getting your body into the best possible shape to run, not fitting in with a generic structure. Once you have established a good base of steady running it’s worth having a think about the attributes you need to improve as a runner and thinking about how your training works to support that. Tempo runs, intervals, strides and fartleks can all be a little intimidating at first but understanding their benefits and importance should make them less daunting. If we were to build a Marathon Runner from scratch here’s what we would need. Strong Running Body. Built by a consistent routine of steady aerobic running and your long stamina building runs. Big Heart. Improved by sustained, reasonably challenging runs (tempo, threshold, some fartleks and Marathon pace runs for faster runners. Running at a controlled challenging intensity trains your heart to pump rich, oxygenated blood to the muscles! Big lungs. This involves interval training- spending some time running at your maximum comfortable range of breathing, in order to improve your ability to take on, and use large volumes of oxygen. Our focus should be on giving the lungs a workout- not flat out running but running where your aerobic system is challenged but not over extended. Breathing should be deep and rhythmic and you should be maintain for the pace for 15mins without stopping. As a basic guide you should be aiming for a series of intervals of between 2-5mins each, with a rest between each half or ¾ as long as each interval, and a total volume of c.20mins hard running. Efficiency of movement can be improved in two ways; Strength and Conditioning to improve strength and mobility, and through regular faster running! Running fast is really important. In being more dynamic and explosive you make use of a larger range of muscle groups; improving their capabilities and the efficiency of the communication from brain to muscle. Essentially you’re building your arsenal and figuring out ways to activate those weapons! There are lots of different ways to approach this- from hill sprints to ‘strides’, (relaxed technique sprints). The key to working on speed is to always consider the purpose of the session. You should always aim to run fast but relaxed- gurning faces and shoulders around your ears are a big no-no! Very few endeavours require as much mental fortitude as long distance running, and your enjoyment of the training and race itself will hinge on the nature of your mindset. Charlie Spedding, the last British man to medal in the Marathon at an Olympic games, had a simple yet highly effective method to mentally prepare himself for big events. Everyday in the lead up to the 1984 games he told himself that the Olympic final would be the best day of his life.Over and over again, for the next 3 months. He started to believe it and on race day he felt relaxed, confident and eager to run. He produced an incredible performance to take an unexpected bronze medal. You can do the same thing. Be really positive. The marathon will be fantastic experience- so remind yourself how great it will be. 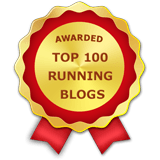 There’s just a few days left to vote in the 2017 RunUltra Blogger Awards, so please give me your vote if you enjoy RandRuns! You can vote here. If you are anywhere near Tralee on Sunday September 25th, come along to The Green School, beside Tralee Town Park, and take part in the CBS The Green School 5k or 3k. The run is being organised by CBS teachers Helen Kelliher and Karen Tobin to raise funds towards the construction of an all-weather pitch. Entry is just €10 for adults, and €5 for students and children. You can enter at the school the day before, or on the morning of the run, and there are lots of activities for younger kids going on, and the run is suitable for all abilities, including walkers. My eldest attends CBS The Green, and is looking forward to the pitch being finished, so he’ll be there, as will I, as long as I survive the 24 Hour Endurance Race, which finishes an hour before this starts. I hope to see lots of you there! 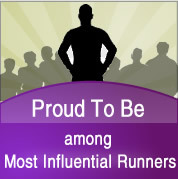 RandRuns has been nominated for the 2017 Running Awards, and I’d love if you could give me a vote here – I reached the final this year, and would love to go one better for next year! Thanks! My next race will be the Kerry 24 Hour Endurance Race. This will be a big test of where I am mentally and physically after my travails in the 100k, and I’m really looking forward to it (though I wish I’d more training done!). The race was originally scheduled to take place on a running track, but has been moved to Tralee Town Park, where the Tralee parkrun takes place. This move could be interesting, and will certainly be more scenic! The course consists of 0.75 mile laps of the park, and it starts at 12pm on Saturday, September 24th, and ends, not surprisingly, 24 hours later, at 12pm on Sunday. If you are in the area, and aren’t up for running it, be sure to drop in and give us some encouragement. There are 12 hour and 6 hour versions running at the same time. I’ve a feeling I’ll be very envious of those runners on the day! I believe there are still places available through Run The Kingdom for anyone interested.